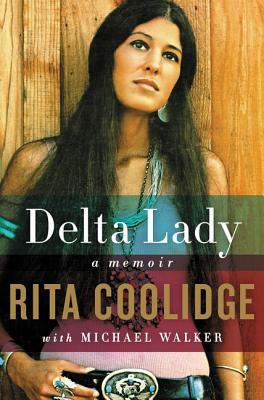 Rita Coolidge's memoir is a fascinating look into her life in music and relationships with famous men like Kris Kristofferson, Stephen Stills and Graham Nash. Almost too short of a read, this book would be great interest to any fan of the music of the '70s. Also includes stories about Eric Clapton, Joe Cocker, Delaney and Bonnie, and Sammy Davis, Jr.
She inspired songs—Leon Russell wrote “A Song for You” and “Delta Lady” for her, Stephen Stills wrote “Cherokee.” She co-wrote songs—“Superstar” and the piano coda to “Layla,” uncredited. She sang backup for Eric Clapton, Joe Cocker, and Stills, before finding fame as a solo artist with such hits as “We're All Alone” and “(Your Love Has Lifted Me) Higher and Higher.” Following her story from Lafayette, Tennessee to becoming one of the most sought after rock vocalists in LA in the 1970s, Delta Lady chronicles Rita Coolidge’s fascinating journey throughout the ’60s-’70s pop/rock universe. Rita Coolidge is a two-time Grammy Award winner. She began her music career in Memphis before moving to Los Angeles, where she became one of the most popular backup singers in the business, recording with Leon Russell, Joe Cocker, Eric Clapton, Stephen Stills, and other artists. Signed to A&M Records as a solo artist in 1971, she released more than two dozen albums in the years that followed, including the multiplatinum Anytime . . .Anywhere, and continues to record and tour. She lives in Fallbrook, California. Michael Walker is the bestselling author of Laurel Canyon: The Inside Story of Rock-and-Roll’s Legendary Neighborhood and What You Want Is in the Limo: On the Road with Led Zeppelin, Alice Cooper, and the Who in 1973, the Year the Sixties Died and the Modern Rock Star Was Born. He has written about popular culture for the New York Times and is a contributing editor at the Hollywood Reporter. He lives in Los Angeles.